Today I’m sharing the pattern for the vintage fan ripple blanket, which I finished last week. Voor de Nederlandse versie van dit patroon, klik hier! For this blanket, which measures about 1.40 x 1.40m, I used 14 balls of Softfun (two of every colour used, in colour ways 2496, 2531, 2466, 2449, 2451, 2519 and 2514). 1. Make a chain, the number of chains being a multiple of 9, plus 1 for turning. In this example I chained 28 (3 x 9, plus 1). 2. Work *4sc, 3sc in same stitch, 4sc* around. Chain 1, and turn. You’ll end up with a really funky looking chain, but don’t worry, it will start to make sense soon! 3. Work *sk 1 st, 4sc, 3sc in same stitch, 4sc, sk 1 st* around. Remember to work all stitches into the back loops only. Chain 1, and turn. You can see the ripple starting to take shape now! 4. Repeat step 3. Chain 1, and turn. 5. Slip stitch into the next 3 stitches (back loop only). Chain 6; this counts as the first triple treble. Work 2 more trtr, 3 trtr in same stitch, 3 trtr. Skip 2 stitches. Repeat *sk 2 st, 3trtr, 3trtr in same stitch, 3trtr, sk 2 st* around. Remember to work all stitches into the back loops only. 6. You can now change colour. To repeat the pattern, begin at step 2 and continue till step 5. 7. Continue repeating the pattern till you feel your project is big enough. 8. To give the last row a finished look, don’t change colour but repeat rows 2 until 4 in the same colour. Then fasten off. 9. Sew in the ends using your darning needle. If you run into any problems with this pattern, let me know in the comments. Dank je! Ik wil hem een keer maken met alleen blauwen en wit. Tahnks for the pattern. Your blanket is gorgeous. First I have to finish work in progress. After that I’m going to use your pattern. can’t wait to try this. need to find suitable cotton yarn. Just beautiful! I love the yarn you use. The colors and the look of softness that comes across in the photos. Thank you for your generosity of sharing. I would like to order yarn from the attached site for this blanket but to know about how much to order. Thanks and LOVE this blanket! I just saw that on your original post you used 14 skeins. Thanks! What an amazing pattern! It would also make a good scarf! Thank you for sharing the tutorial. I love this pattern, but I’m very confused by the first two rows after the foundation chain. Can you explain where you put the 4sc and the 3sc? Ignore me, I worked it out looking at the diagram! Got myself confused when actually very simple! Volgt er ook een Nederlandstalige tutorial? Wow! That’s a gorgeous blanket! I have to ask…do you know how much yarn it took? 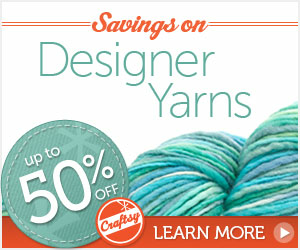 I would like to make it but don’t have a clue how much yarn to buy. Thank you so much for sharing!! I don’t understand “Work *4sc, 3sc in same stitch, 4sc* around” Do i do 4 sc in the first of the chain next to the hook , then 3 sc in the next one or 4sc in the 3rd sc and 4sc all the way to the end and move on? How many skeins of yarn do you suggest for a full afghan? If you use the yarn I used, I’d say between 21 and 28. I’m going to share this delightful pattern with the expert, my granny Olga. Thank you so much it is gorgeous. thank you for the tutorial. You make it seem so easy. This is gorgeous! I’m going to find my coupons and get the yarn to start this immediately! I’ll try to make it and then I’ll show you. Thanks it’s lovely. Thank you for sharing, it’s truly beautiful! Beautiful! Thanks for sharing wink! Wow! This looks so cool! I’m definitely going to give it a try! Hi Wink and thank you for the pattern, I love it. I am confused already but then I am a rather novice in crocheting! Am I reading this correctly, slip knot in the first stitch, ( I cannot figure out how to do this) four single crochets and three single crochets in the same stitch and then… Oh I don’t think I am getting this at all. Help! I see that I am not the only one who is just not seeing what I am supposed to be seeing or doing. I messed up my account, this is really me and I really would like some help with this above issue when you have a moment free. Thank you! I love this pattern. I love this blanket. Hodgepodge Crochet link sent me over. I’ll be looking for you on pintrest! thanks Kate R. you have just made it easier for me to understand big time novice as i have no idea about reading patterns . THIS IS really unusual and lovely. THANK YOU for sharing. I look forward to trying out this pattern! I loved your version of this pattern. I had found it on another site but yours was so much easier to follow. I made one and would love to show you but i’m unsure of how to post it for you to see. I love this! Thanks, Wink. ;) Just found your website- I’m a crochet fanatic so I will be sure to be stopping by regularly. Great stuff you’ve got, keep it up! What is the weight of the yarn? #4 is regular worsted weight; DK is #3. Seems to me it is one of these? Thank you for this free tutorial. I also really like the colors you chose for it. Cannot wait to try this with scrap yarn, what a great pattern. Thanks! Beautiful, can’t wait to make it. Groovy-ghan also. Thanks for sharing. How big is this afghan, in inches only please? How many ounces or yards are the size of skeins you used? I used lily sugar n cream yarn. I used 5 colors. I chose ibe as a mc color and used two super sized skeins 112oz for main color and 1 of each of tge other colors. Mine measured approximately 27 x 38. I love this and can’t wait to get started! I have an important question for ya, regarding this pattern. I did my chain of 217 and I’m at the end of the second row, the very last stitch will end up being the 3 sc….is this okay? Or is it going to mess me up? I just want to make sure before I continue because I am making this for my dad for father’s day :) Look forward to your response. Thanks so much for sharing this pattern with us. I aw so Hodge Podge where they mentioned I’d find it here. I’m so very pleased. YES YES YES!!! IRS copol how you know you need a pattern to do bit don’t know what. Then You SEE IT!!! And you know that is it!! Baby here I come! Roll Tide Roll!!! Thank you for sharing this pattern, it is going to be the next project I take on. Your finished blanket is gorgeous.